Nikon’s much-anticipated Z7 camera is finally here. Based on the early reviews, Nikon’s new mirrorless full-frame camera exceeds the hype. As more fully detailed in a prior article, this is Nikon’s first entry into the mirrorless camera market. The cameras are unique in that they lack the complex internal mirror system of DSLRs. As a result, there is also no optical viewfinder, which means photographers must rely on the rear screen or an electronic viewfinder. After much speculation about how Nikon would design its maiden mirrorless camera, the company did not disappoint. 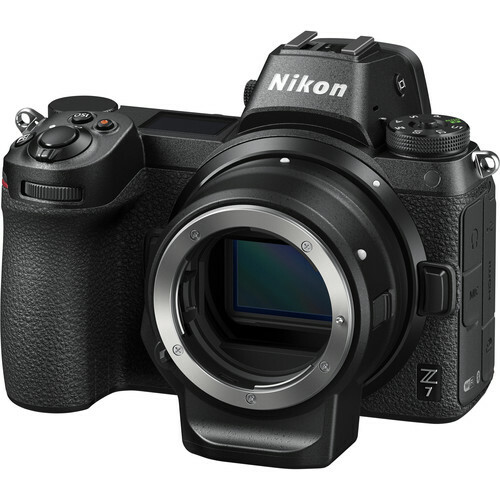 According to Nikon, the Z7 is a “mirrorless camera that feels like a Nikon.” The camera features a high-resolution 45.7MP BSI CMOS FX-format sensor in combination with the EXPEED 6 Image Processing Engine. Accordingly, the image quality of the Z7 delivers meets if not exceeds the D850. The mirrorless camera also features built-in five-axis Vibration Reduction for five stops of stabilization. The Z7 is 26 percent lighter than the D850 and significantly smaller. Nonetheless, those who have had the opportunity to handle the Z7 have remarked that it feels just as solid and durable as a traditional Nikon DSLR. The placement of the controls is also similar, which will make the transition fairly smooth. The Z7 is also both dust- and weather-resistant, which separates the Z7 from many other mirrorless cameras. Nikon also introduced three NIKKOR Z lenses, which will be discussed in a future article. The Mount Adapter FTZ also allows Nikon DSLR photographers to continue using their NIKKOR F lenses with the new mirrorless camera system. If you interested in the Z7, it is now available for pre-order on sites like Amazon, B&H, and Adorama. The new camera starts at $3,399.95. However, several retailers, like Adorama, are also offering trade-in programs.